The Bhupesh Baghel government gave a strong missive to the collectors to ensure effective utilisation of funds but no construction activities out of it in the urban areas. RAIPUR: A query by the Chhattisgarh chief minister to all collectors apparently left the officials poker-faced and tongue-tied adding strength to the contention on how the funds released under the district mineral foundation (DMF) scheme actually didn't reach the people affected by various mining activities in the state. 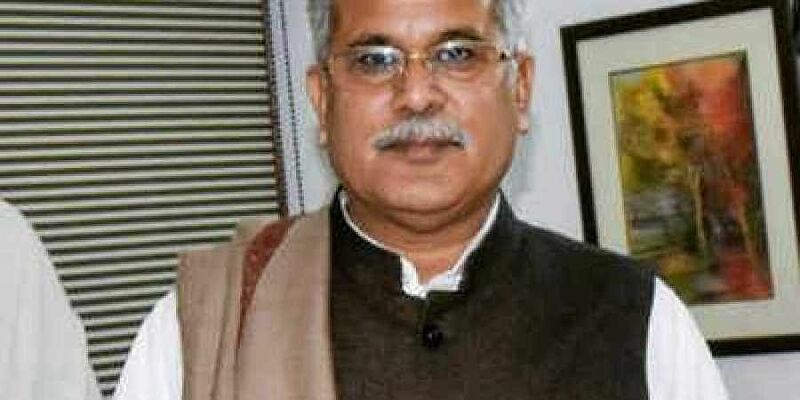 "Tell me what good works in the interests of the affected people were carried out by you under the DMF", a bit of a poser by CM Bhupesh Baghel to bureaucrats during the collectors' conference strangely led to the pin-drop silence, with none could muster courage to narrate whether the intended goal were satisfactorily accomplished in their respective district. With the assumptions on the DMF funds not being channelised on priority towards spending on the welfare of the beneficiaries residing in mining belt, the Baghel government gave a strong missive to the collectors to ensure effective utilisation of funds but no construction activities out of it in the urban areas. In one of the survey reports conducted by the Delhi-based Centre for Science and Environment (CSE) in Chhattisgarh, one of the top five mining states in the country, it was found that the funds under DMF were effectively not benefitting those who were actually affected or displaced by the mining. The earlier BJP government had often maintained for Chhattisgarh as the first state to set up a DMF for holistic development of the mining area. The Ministry of Mines and Minerals amended the mines and mineral (development and regulation) Act 1957 in 2015 to enable the state governments to set DMFs with a mandate to work for the welfare of persons in districts affected by mining-related operations. The CSE in one of its reports analysing various districts in Chhattisgarh found - 'District DMF body dominated by government officials and political representatives but poor representation of people'. "The CM has instructed to ensure the allocation of DMF should primarily focus on those segments who are affected by mining activities and all efforts should be towards their development, education, healthcare, well-being and development of their areas. It will be the prerogative of the collector to decide on the appropriate course of action on the utilisation of the funds but it would be specifically utilised only in the region affected by mining activities", said Vinod Verma, political advisor to the chief minister. The review, implementation and monitoring will essentially be taken on the works approved under the DMF. Earlier it was mostly the government which has assumed the central role to direct the DMF investment. The governing body of DMF in the state has been dissolved. The present government has not ruled out the social audit on how DMF scheme are being carried out in mining-affected areas by seeking feedback. According to the officials earlier there were gardens, buildings, roads, even Ujjawala yojana, libraries in various districts besides other infrastructure created in urban areas from funds of the DMF scheme. This is the same state of affair in other districts also.